I've spoken before about my Voldemort polishes (the ones of which we do not speak) - those polishes I lust after, track down, get sick of, then buy again. The original GOSH holographic is one of them. I found my original one in a bargain basket in a tiny chemist a few years ago, bought it, then got sick of it and sold it. Fool!! When Holographic Hero was released last year, I immediately wanted to get my grubby little paws on it. Sadly, it proved no match for the original. 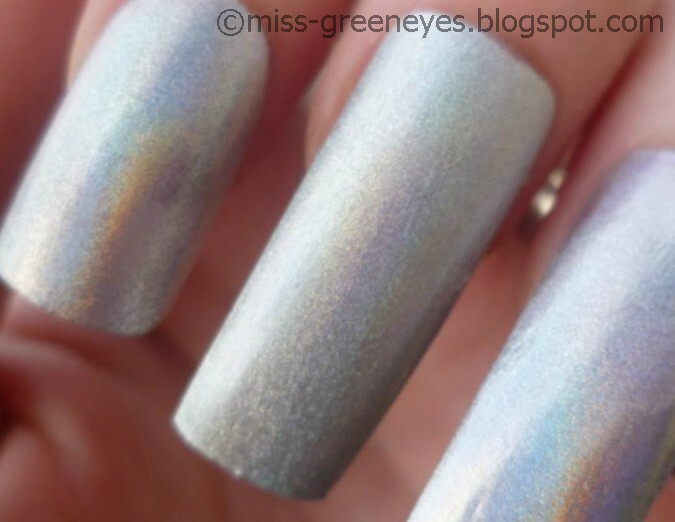 When Color Club released their "Halo Hues" collection, I pounced on "Harp on It" - a silver holo that looked pretty similar to the original GOSH Holographic. Outside, in natural light, there isn't much of a difference. 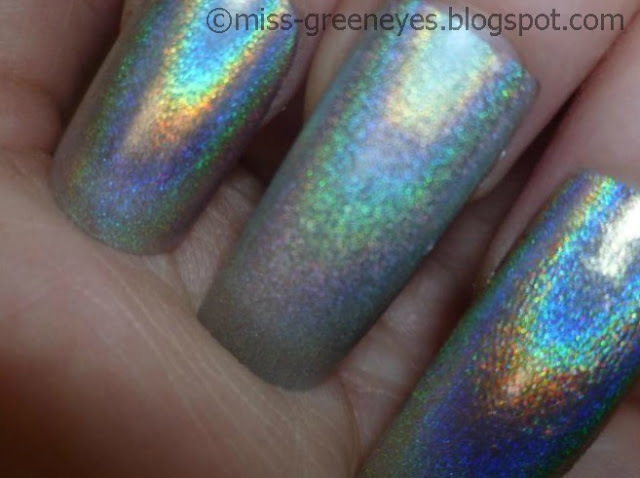 Front: GOSH Holographic Original. Centre: GOSH Holographic Hero. Back: Color Club Harp On It. 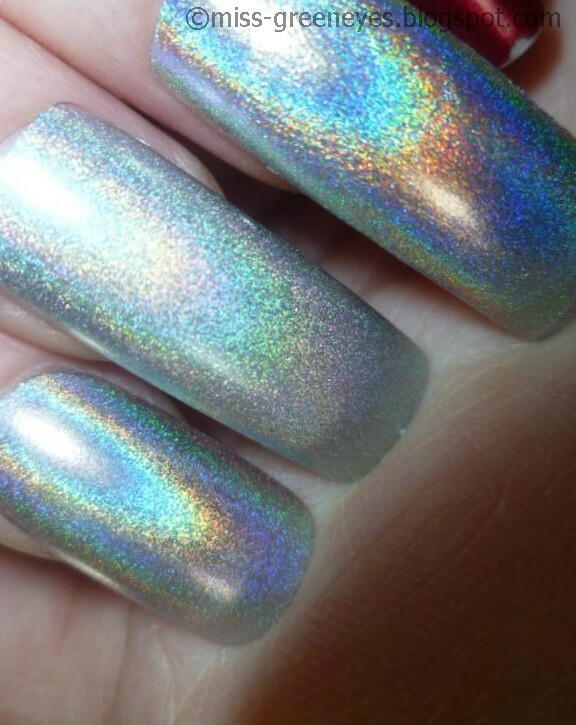 Front: Original Holographic. Top: Color Club. Bottom: Holo Hero. I blu-tacced (yes, that's a word) the nails on so that I could get different angles for you. 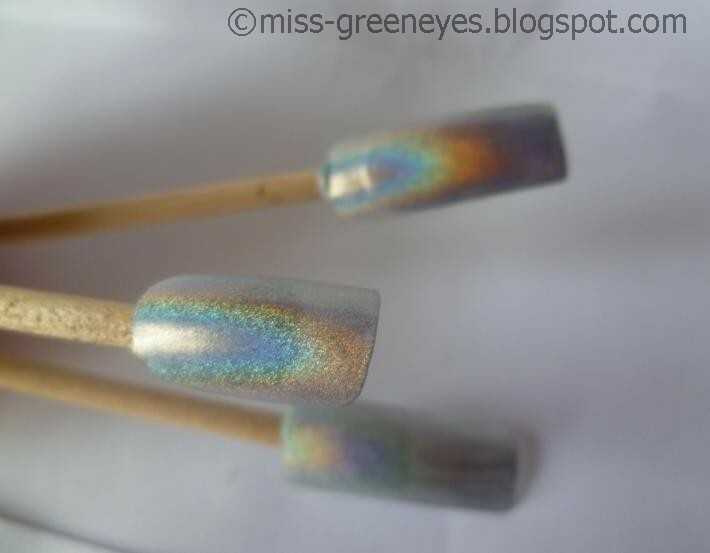 L-R: Original Holo, Holo Hero, Color Club. As we all know, holos are at their best with a flash. And here's where the comparison gets good. 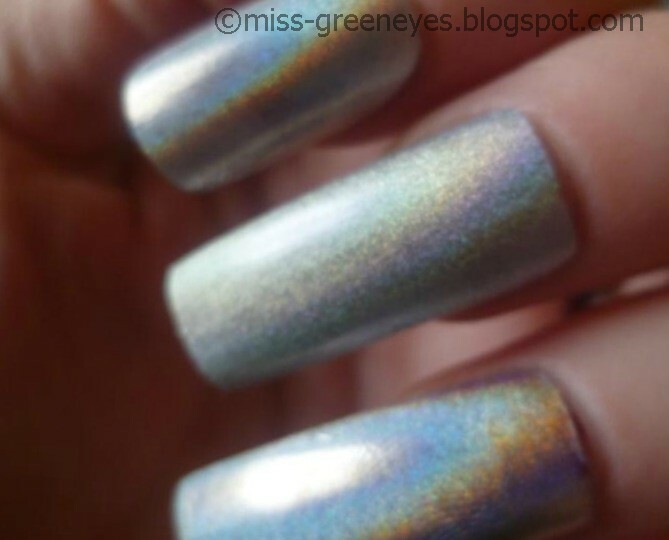 LOOK at the holo in the Color Club (and that dirty great fingerprint, oops). It's an even stronger effect than the original GOSH one, which is pretty impressive in its own right. Holographic Hero is a more subtle holographic polish, you can immediately tell that it's completely different from its predecessor. Top: Color Club. Middle: Holo Hero. Bottom: Original Holo. Verdict? If you're aching for original GOSH Holographic but can't get your hands on it, leave Holographic Hero where it is and seek out Color Club Harp on It. I got mine from beautyzone2007 on eBay a while back (where, incidentally, it was the same price as the GOSH one AFTER international postage was added). I've worn the Color Club as a full mani once, and it lasted five days with a top coat, I was hugely surprised by its staying power. 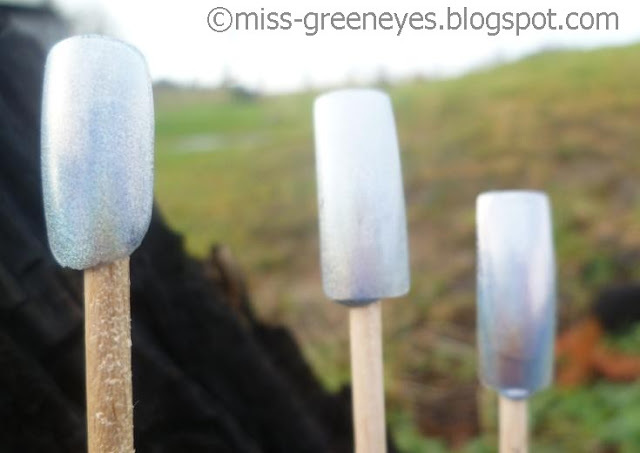 Great post, nice to see there is another polish out there like the original GOSH. I was let down by Holographic Hero. Boo! Oh thanks for this, I was looking at the new GOSH one today but was going to look up swatches before deciding! Glad I never shelled out the money for the Holographic Hero, I was just getting it for comparison but definitely will not now! Thanks for the fantastic post! Great comparison I may look out for the Gosh one if it's a little easier to buy! Love the color club and how it reflects. I find it elegant and classy too. Great comparison. Now I know what to pick.